The RnB Singer UK can deliver all the old school 90's greatest RnB hits you love and remember. Whether it be for a wedding or a party, he always aims to please. All performances can be individually tailored to your needs, with the option of adding a full function band. 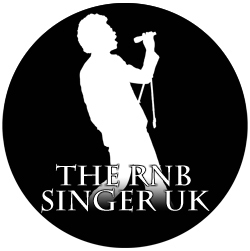 Please visit The RnB Singer UK's website for more information and to hire The RnB Singer UK for your event. 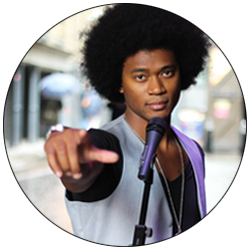 Mark has sung for artists such as Lulu, Josh Groban, Aloe Blacc, and Omar. He can deliver support, great harmonies, energy and smooth vocals for many types of musical genres and all types of events. For bookings and enquires please click here. Mark is a valued member of the UK's most prestigious gospel choir. The choir are available to hire and can travel worldwide. For more information and to book the CK Gospel Choir visit www.ckgospelchoir.com. Whether you need a vocalist for a coffee advert or a hit song in the making, Mark can deliver this effortlessly. He is able to travel to private studios or record in his home studio set up. For enquires please click here. Mark has written for other aspiring artists and publishing companies worldwide. He is currently writing material for his own EP, but is always available to write new songs or collaborate with other musicians. For enquires please click here. Mark Agyei is the face and lead singer of many function bands, and is often available at short notice for dep work. He brings bags of energy, amazing vocals and professionalism to every performance. For bookings and enquires please click here.